I’ve seen quite a few people drop Sarah J Maas’s name all over social media, so naturally my curiosity has been piqued. 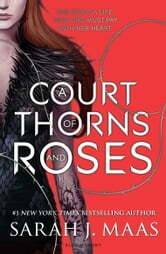 So, of course, when the opportunity to review A Court of Thorns and Roses fell into my lap, I seized it. A brief disclaimer: I’m generally leery of books that get hyped, especially when they involve supernatural critters like vampires, angels and fae. These are perennial, timeworn and popular favourites. There’s a reason for this. It’s easy to be blown away by “Oooh, glittery vampire” and overlook the fact that the narrative elements or writing are merely adequate. Um, hello, Tweelight much? Like why in heaven’s name would an immortal, ancient being deign to fall in love with a scrappy mortal girl? 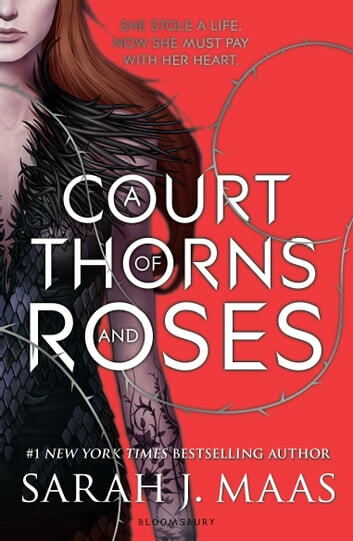 Trust me, the first few chapters into A Court of Thorns and Roses this was all I thought. Why oh why, when Tamlin *should* have requested blood for blood and just offed Feyre in terms of a supposed treaty did he drag her off into fairytale Prythian, the magical realm of the faeries. I’d have expected Tamlin to use Feyre poorly, treat her like a slave and avenge himself on her for the death of a friend. She did, after all, slaughter a shapeshifted faerie in cold blood. (In her defence, she had been hunting at the time.) Instead Tamlin treats Feyre like a princess. Cue major eyerolls from me accompanied by much gagging. Granted, if this had been a run-of-the-mill fantasy bodice-ripper, this unlikely romance probably would have bloomed into unabated and gooey, icky love. But, you see, Maas is far too clever for that. Just when jaded Nerine starts to think the story’s taken a turn for the obvious, Maas pulls the proverbial bearskin rug from beneath her feet. Superficially, this story *borrows* from Beauty and the Beast. Kernels of the timeless classic form the spine, but what Maas has done is to spin out an epic revising of the concept and flesh out her faerie politics to Machiavellian proportions. Nothing is as it seems. Everyone has something to hide, and Feyre is lost, caught between her human existence and the fascinating and very deadly world of the fae. By the time she starts figuring out what matters and what the hell is actually going on, it’s seemingly too late for her to save the day, and this is where she goes up against the Big Bad with everything she’s got, and even her love for her faerie lord is not enough. She will have to dig deep if she’s going to become the champion Tamlin didn’t realise he needed. I’ve read faerie books and I’ve read faerie books, and this is offering is a cut above the rest. Yes, there is the beginning of a love triangle that I suspect will play out in future books, but yeah, I’ve come to expect that. It’s not totally annoying, and said bad-boy rival is quite charming in his own way. I’ve seen some folks make comparisons between Feyre and our lovely little Katniss Everdeen (most likely due to the fact that both are proficient with the bow and were forced to go hunting to support their families) but let me tell you, Feyre is most certainly not a whiny Katniss, though like Katniss, Feyre is determined to do what she must to protect the ones she loves. Come what may, she doesn’t pause to bemoan her fate. She simply gets on with what must be done, and endures. In closing, if you like fae, magic, curses and a heroine who is brave, determined and loyal, then Feyre is your lady, and this is an epic faerie tale that will surprise you with its complexity and leave you breathless with worry for what happens next. I absolutely LOVED this! What an amazingly talented storyteller the author is. It was a mix between hunger games, beauty and the beast and even a bit of the mummy thrown in. Brilliant. Reminiscent of beauty and the beast this story will grab you the minute you realise something is amiss in this seemingly ordinary, bland world of Feyre's. The world, the characters and action will start to cascade as the story is laid bare in beautiful heavenly fantasy and nightmarish horror. More romance and heat than you can poke a stick at. I got completely immersed. Such an descriptive, enjoyable read to transport your mind! I could visualise everything so easily from her writing. Loved it! Brilliant can't wait for the next installment, definitely worth reading. This authors'work is so vivid making it easy to get lost in another world.